Appreciate the collections at Seurasaari Island and Open-Air Museum and Natural History Museum (Luonnontieteellinen Museo). Step out of the city life by going to Nuuksio National Park and Arctic Expedition. You'll find plenty of places to visit near Helsinki: Sipoonkorven Kansallispuisto (in Vantaa) and Kaitalampi (in Espoo). 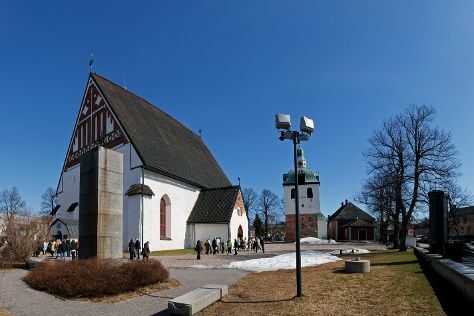 The adventure continues: contemplate in the serene atmosphere at Rock Church, explore the world behind art at Kansallisgalleria, appreciate the extensive heritage of The Esplanadi Park, and step off the mainland to explore Pihlajasaari Recreational Park. To see ratings, traveler tips, photos, and tourist information, go to the Helsinki online vacation builder . San Francisco, USA to Helsinki is an approximately 14-hour flight. You can also do a combination of subway and flight; or do a combination of flight and ferry. The time zone difference moving from Pacific Standard Time to Eastern European Time is 10 hours. Traveling from San Francisco in September, expect Helsinki to be slightly colder, temps between 61°F and 45°F. Finish your sightseeing early on the 27th (Fri) so you can travel to Loviisa. Loviisa is a municipality and town of inhabitants on the southern coast of Finland. Porvoo Museum/Holm House and Porvoo Doll and Toy Museum will appeal to museum buffs. You'll discover tucked-away gems like Cathedral of Porvoo and Porvoo Old Town. 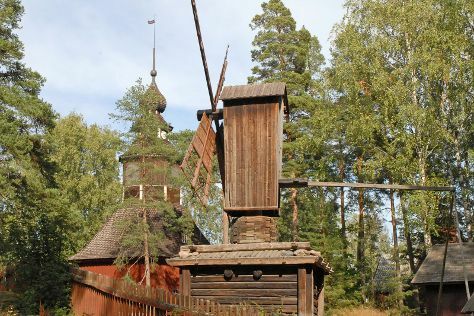 Get out of town with these interesting Loviisa side-trips: Porvoo (The Runeberg Home, Castle Hill, & more). And it doesn't end there: take in the architecture and atmosphere at Loviisan kirkko, look for gifts at Riimikko, get some fabulous bargains at Brunberg Candy Factory Shop, and steep yourself in history at Ungern and Rosen Fortresses. To see ratings, where to stay, traveler tips, and more tourist information, use the Loviisa trip planning app . Getting from Helsinki to Loviisa by car takes about 1.5 hours. In September, plan for daily highs up to 59°F, and evening lows to 46°F. Finish up your sightseeing early on the 30th (Mon) so you can travel back home.